These straight lines always catch my attention--here is one I caught over the back fence! Isn't this amazing? But then, clouds are continually amazing to my eyes. Above is a closeup of this odd configuration as it drifted across the horizon. This triangle'ish cloud is from a different day. I still found it's look to be intriguing. On a walk a few weeks ago, I came across this cute little heart in the sidewalk, just perfect for Guest Heart Thursday! 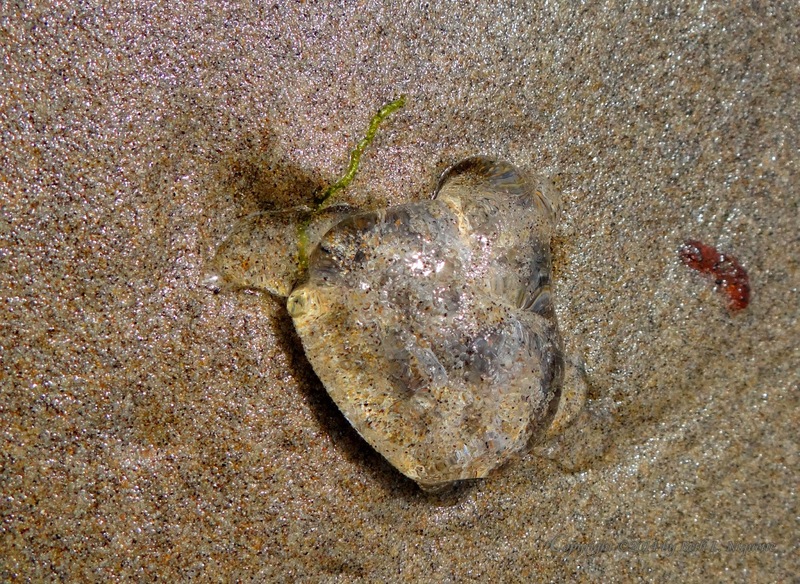 Here is another heart from the sea, found whilst walking along the pounding surf. What fun! A jellyfish heart. Thrown purposefully at our feet on our anniversary, I'm sure! 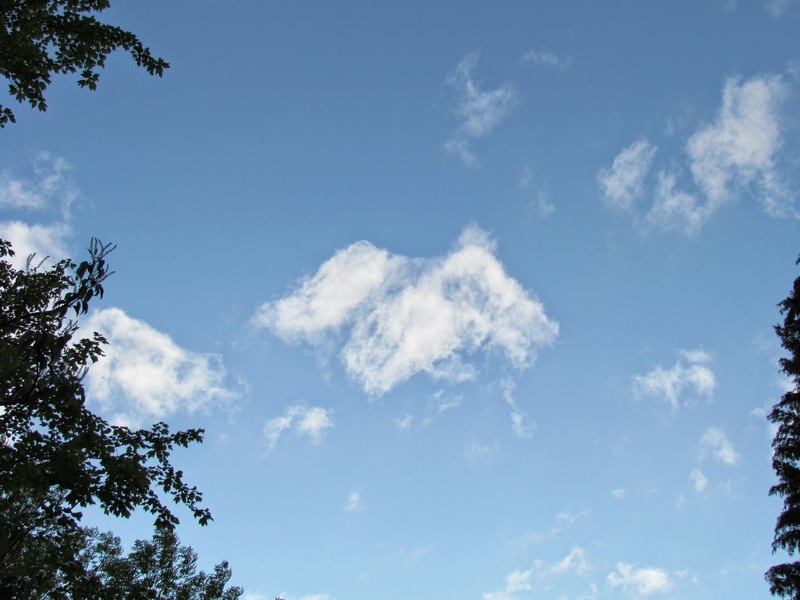 I caught this gathering of three puff clouds over our back yard awhile back. I was fascinated by the way they looked. 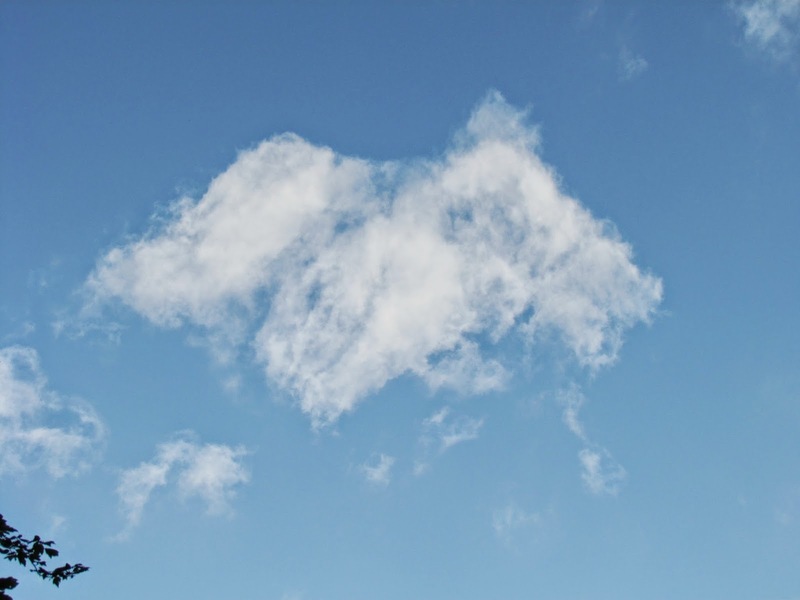 I can see all kinds of animals and faces in this odd set of clouds. If you love clouds as much as I do--join SkyWatch Friday to see all the amazing things to be found by looking up. Have a lovely day and Happy SkyWatch Friday! 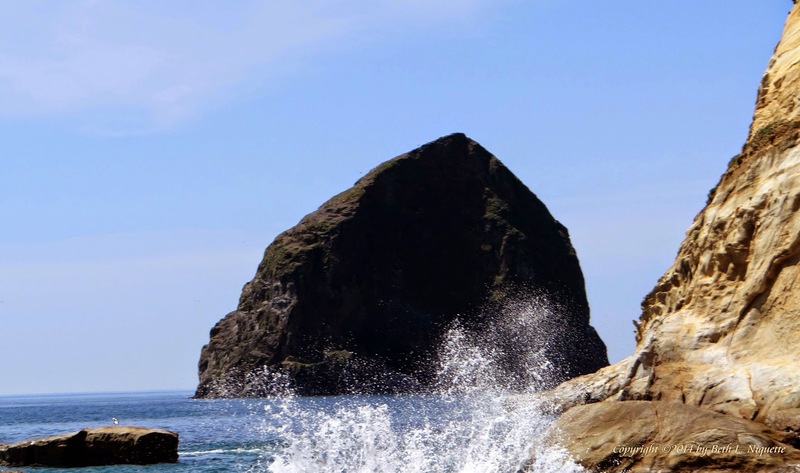 I found so many hearts at the seashore when my husband and I stayed in Oregon's magnificent Pacific City. This is a muscle shell. The inside of this shell is beautiful--looks like blue and purple rainbow mother-of-pearl. Walking on the beach with my darling husband, celebrating our anniversary of 31 years--of COURSE I would find hearts!